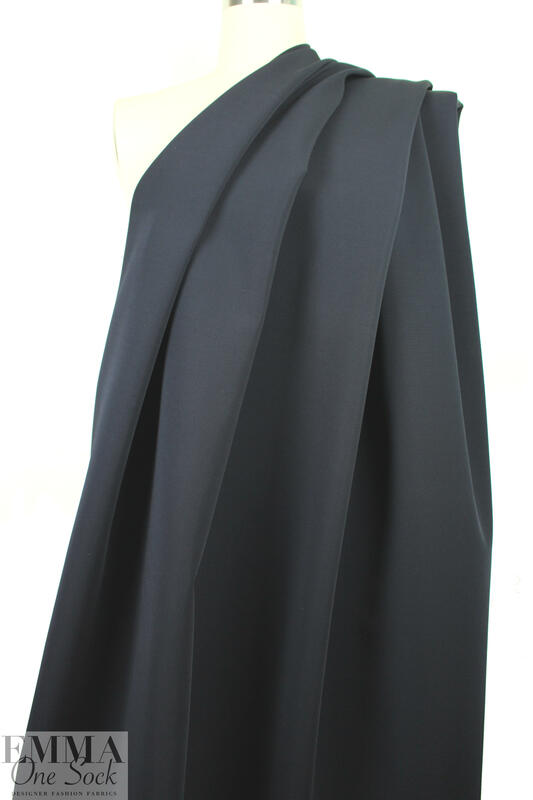 This wonderful, hi-tech doubleknit from a NY designer, made in Italy, is very substantial with a firm drape. 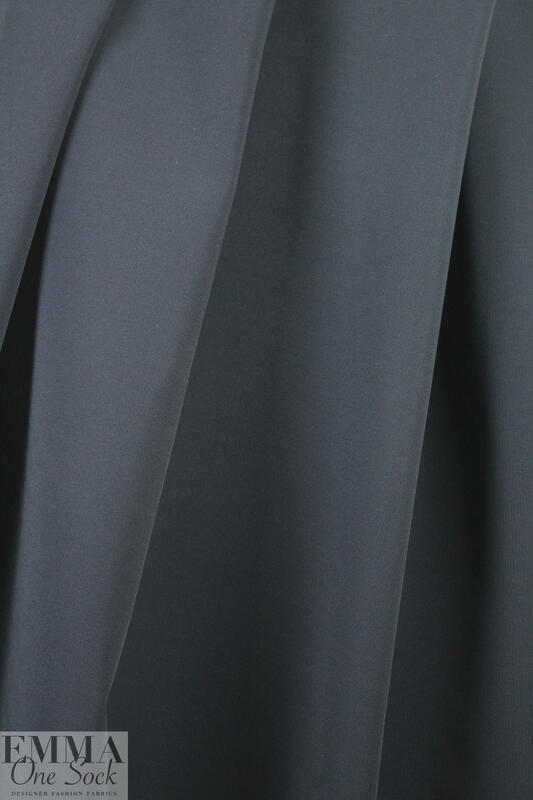 It is similar to a heavier ponte, or a scuba knit, but has a bit more surface texture. It has a matte finish, and about 20% stretch in both directions. 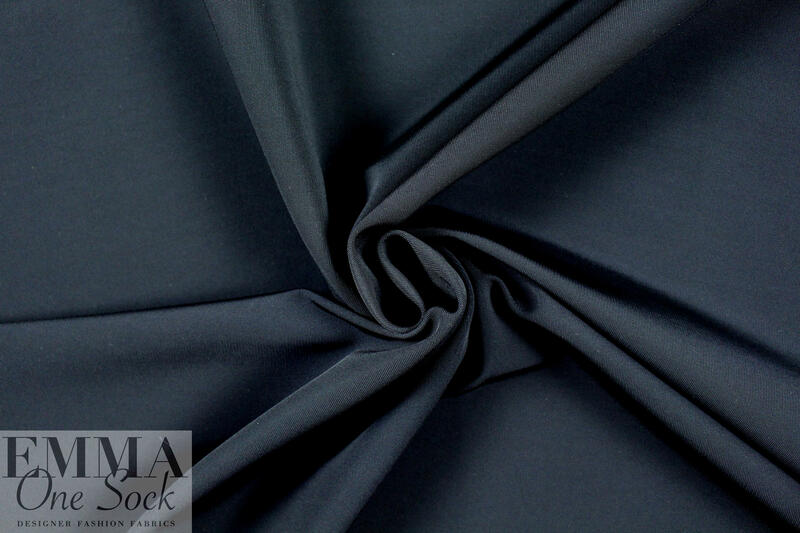 The color is midnight blue (PANTONE 19-4010) and it is a fashion-forward knit that is best for patterns that call for scuba/neoprene such as structured dresses, coats and jackets. Test first if you wish to hand or machine wash and tumble dry low.